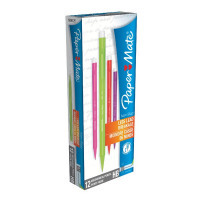 PaperMate Non-Stop Mechanical Pencils are great for handwriting and technical drawing. Just twist the tip to expose fresh lead with the spring-powered action, and use the eraser on the end for quick removal of mistakes. The opaque neon barrel provides a firm grip for extra control and comfort. They are perfect for technical drawing or transcribing shorthand without the risk of a broken pencil. 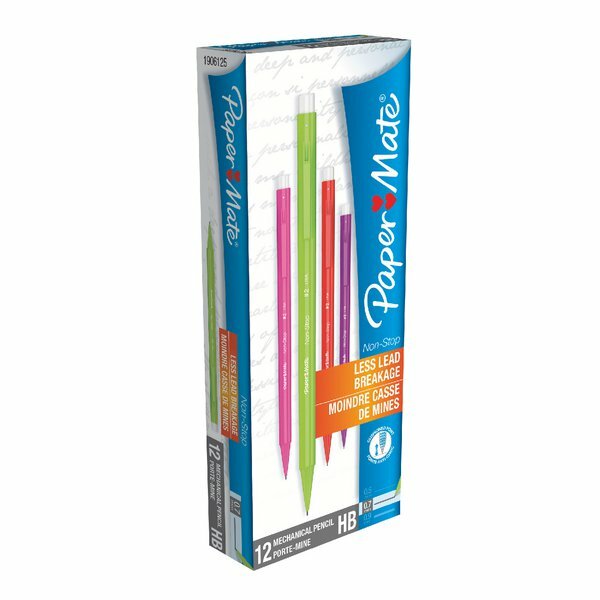 This pack contains 12 x 0.7mm HB lead pencils with yellow barrels.